News, Opinions, Debates... YOUR VOICE... HEARD HERE! 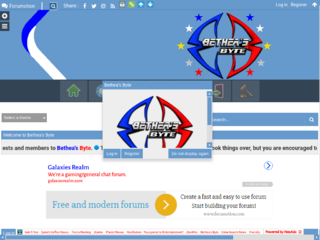 Bethea's Byte is Back at Planet Nexus! Bethea's Byte is the place where your voice is heard. Stop by check out a headline, sign up and voice your opinion. Just in case you're wondering, Bethea's Byte get it's news from only the most reputable sources. If we don't trust the source, we will not post it. Be the first to leave a comment for Bethea's Byte! Click the rocket above to Boost Bethea's Byte!